Spanish pata negra ham made in traditional way from acorn fed and genetically selected 100% iberian pigs. Can be delivered within aprox 3 days. 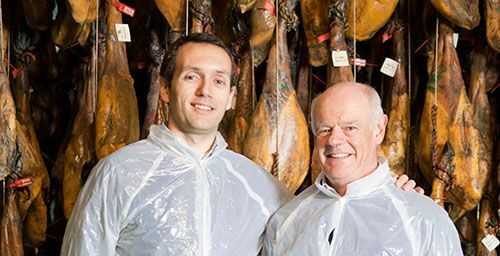 Spanish pata negra ham made in traditional way, from acorn fed and genetically selected 100% iberian pigs, raised and produced in Extremadura. 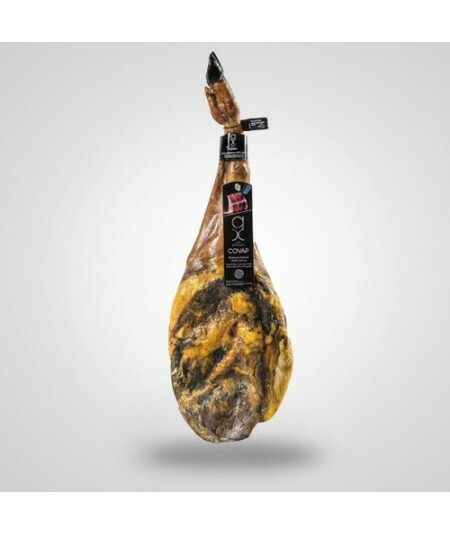 Top quality Spanish pata negra ham made in traditional way from genetically selected 100% iberian pigs, acorns fed, exercised in Extremadura fields, with infiltration of unsaturated fat due acorn diet. Low salt content to enhance their own flavor and aromas. Healing 24 to 36 months (approx).